Westin Homes New Construction! This showpiece Ashton Plan w/ 2 bedrooms down & oversized 3 car tandem garage has stunning curb appeal. Enter through the beautiful 8ft entry door & you'll immediately notice the architectural details that sets Westin apart. 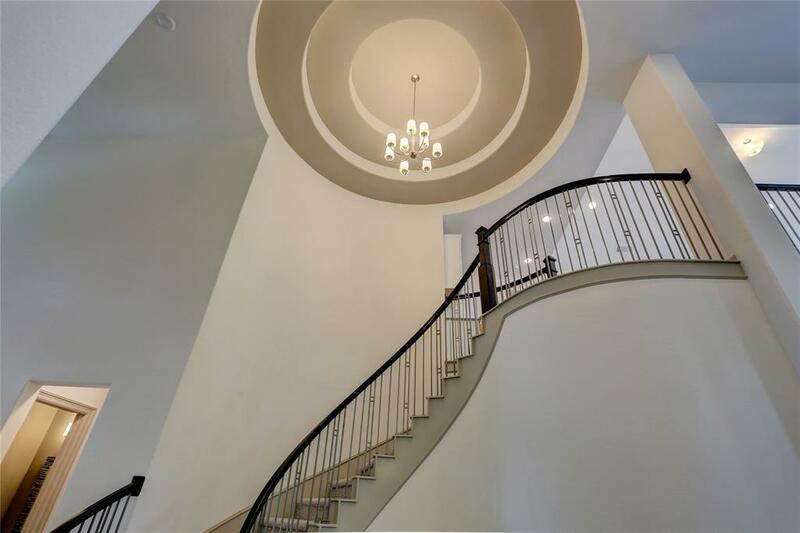 The breathtaking tiered rotunda w/ wrought iron curved staircase designed to been viewed from multiple angles of the home will leave you & your guests "wowed"! 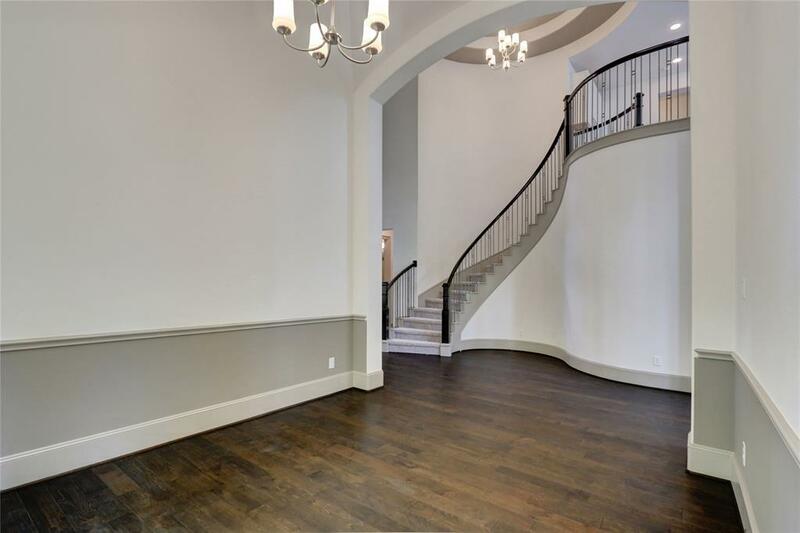 Study w/8ft double doors & trey ceiling; Formal Dining w/ soaring ceiling & stunning view of the Rotunda; Upgrades include wood flooring, 8ft doors, 8in Base Trim, Cast Stone Fireplace which all add to the true custom feel. Your dream, open island kitchen has granite, modern shaker cabinetry, & stainless appliances. Large 2 story living room w/ wall of windows & built-ins. 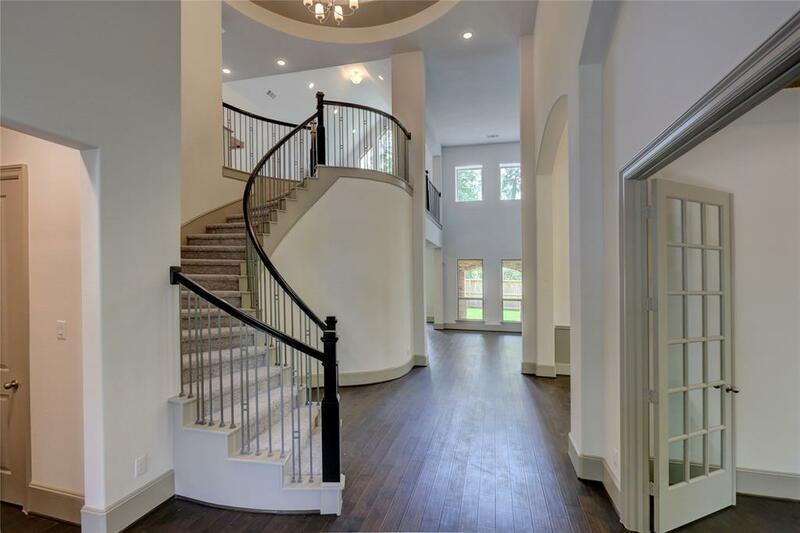 Upstairs features a large GameRoom w/ high ceiling, private surround sound wired Cinema, & Hollywood bath between the 2 additional bedrooms. 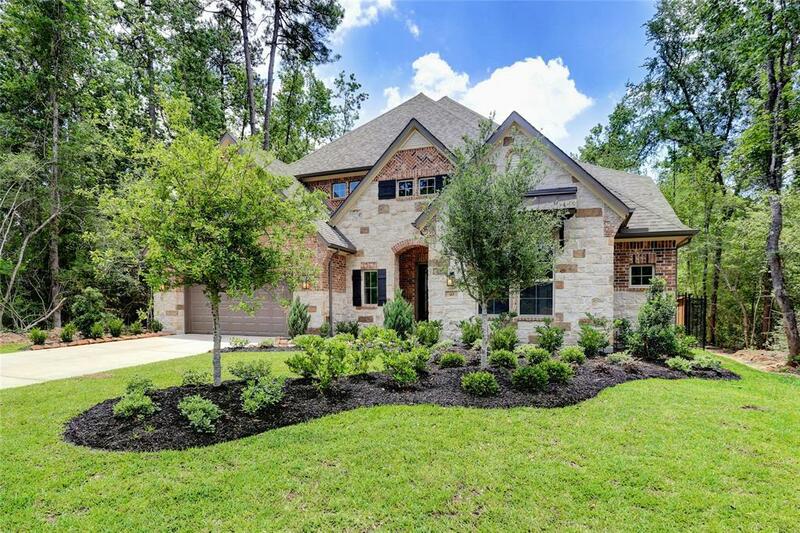 Masterpiece of a home in sought after Woodlands location.